Kelly Ripa looks super proud to be cuddling pal Andy Cohen’s son Benjamin Allen, who was swaddled in blue as the duo posed together in a photo gallery Cohen shared to Instagram in late February. Cohen welcomed Benjamin, his first child, on Feb. 4, via surrogate. Father of two Jimmy Fallon soaked up the newborn love as he and Benjamin coordinated in blue, in a snapshot the Watch What Happens Live host shared in the same post featuring Ripa. “Big day for my boy! #QueenOfTheMorning #KingOfLateNight,” Cohen, 50, captioned the cute photos. Another important man in baby Benjamin’s life? “Uncle” Anderson Cooper, who dropped by Cohen’s home for an “exclusive” one-on-one with the adorable infant in late February. In the cute snapshot, the CNN anchor peered over the railing of Benjamin’s crib. The two were locked in an intense gaze as Benjamin, wrapped snugly in his blue swaddle, lay in a cushioned baby lounger. “Uncle Anderson got an exclusive … ” wrote the proud father. “Went to meet @bravoandy‘s Benny and he is everything! Look at his proud Papa 👨‍👦and look at all that hair!” Padma Lakshmi raved on Instagram, posting a series of images of herself holding Benjamin and one of the little boy peering over his dad’s shoulder. “Benny can you say ‘Auntie Padma … ‘💁🏻‍♂️” she joked. “Guess what? Kyle Richards was the very first Real Housewife to meet my son today!” Cohen said on the March 12 episode of WWHL before the broadcast cut to a too-cute snapshot of Richards cradling Benjamin — who looked up at the reality star with a wide-eyed, curious expression. “I put him in Gucci just for you!” joked the proud new father. 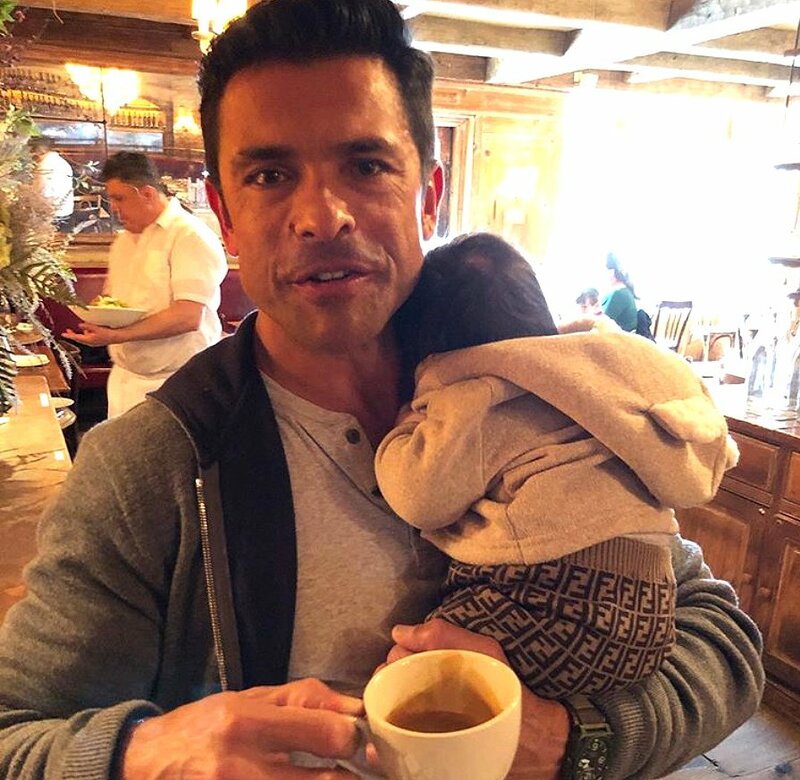 Ripa’s husband Mark Consuelos got his own dose of bonding time with Benjamin in early April, when the Riverdale star met the father-son duo for brunch. “I can’t blame him for burrowing into @instasuelos,” Cohen captioned the picture.